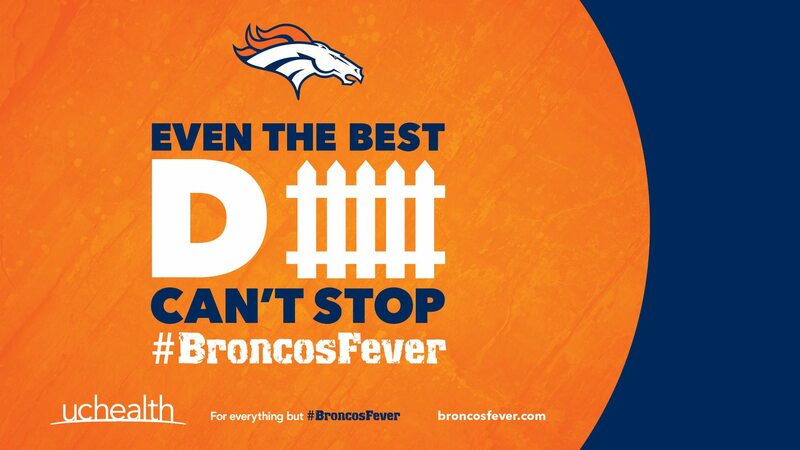 Last year, more than 1 million cases of Broncos Fever were reported in Denver on Sundays alone. 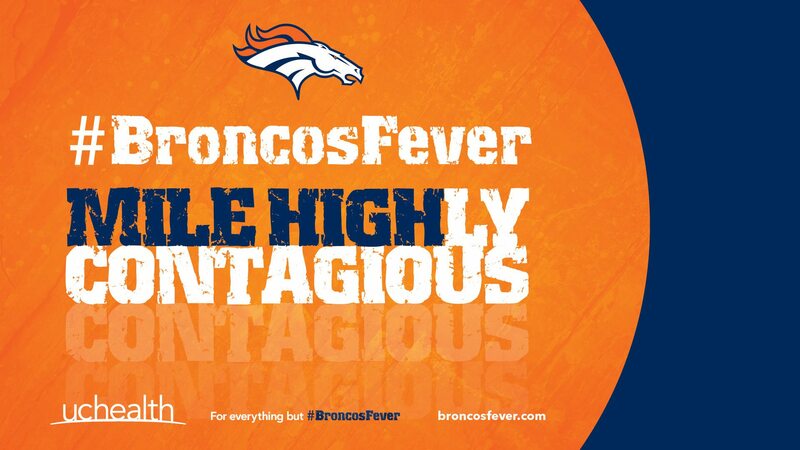 This season, we anticipate the outbreak to reach a fandemic level. And there is still no cure. Stay tuned to this site throughout the season for breaking news and even downloads to keep your computer free of the fever. 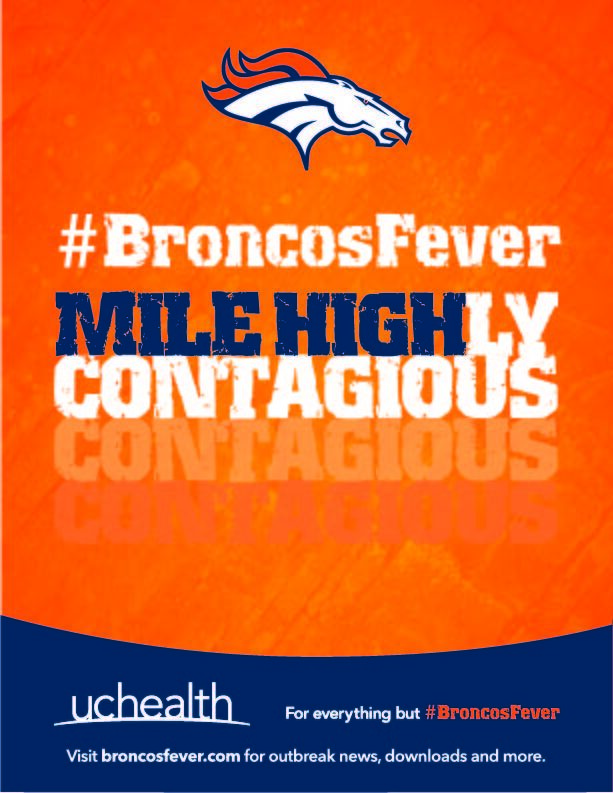 Help us by documenting any sightings using #BroncosFever on social media. 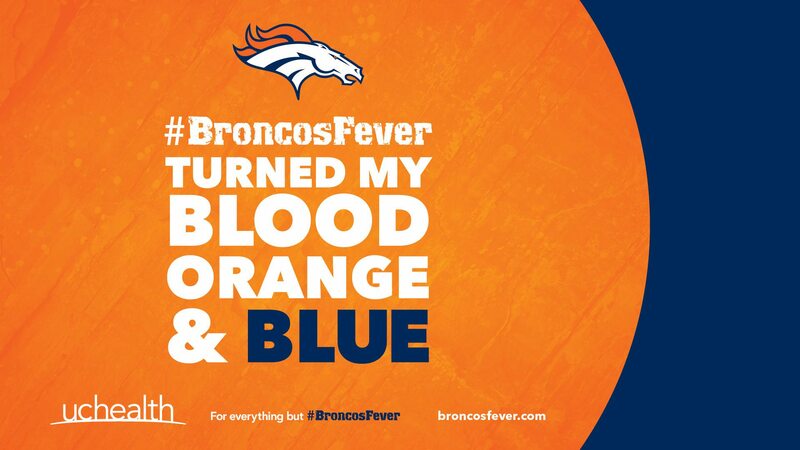 Broncos Fever is spreading. And fast. Use this handy FAQ for everything you need to know. 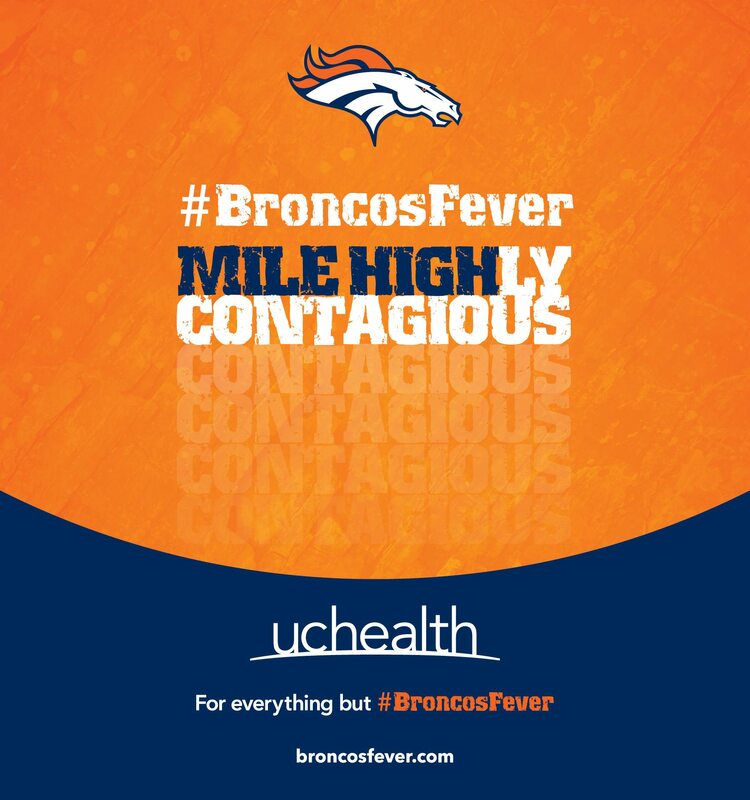 Broncos Fever is a Class A Condition in the Mile Highly Contagious Category that attacks your body’s defensive lines like an Outside Linebacker picked 2nd overall in the draft. Who can catch Broncos Fever? Friends, family, pets and even your weird Uncle Earl who says he hasn’t been sick since ’82 can contract Broncos Fever. Do I have Broncos Fever? 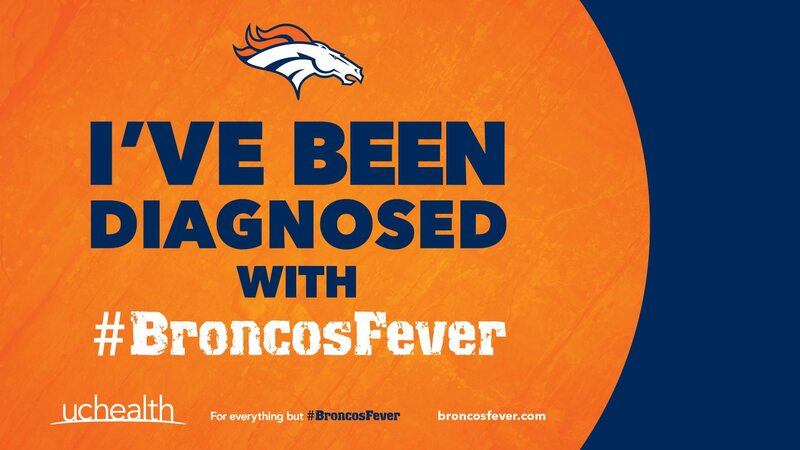 Is there a cure for Broncos Fever? There is no known cure at this time. 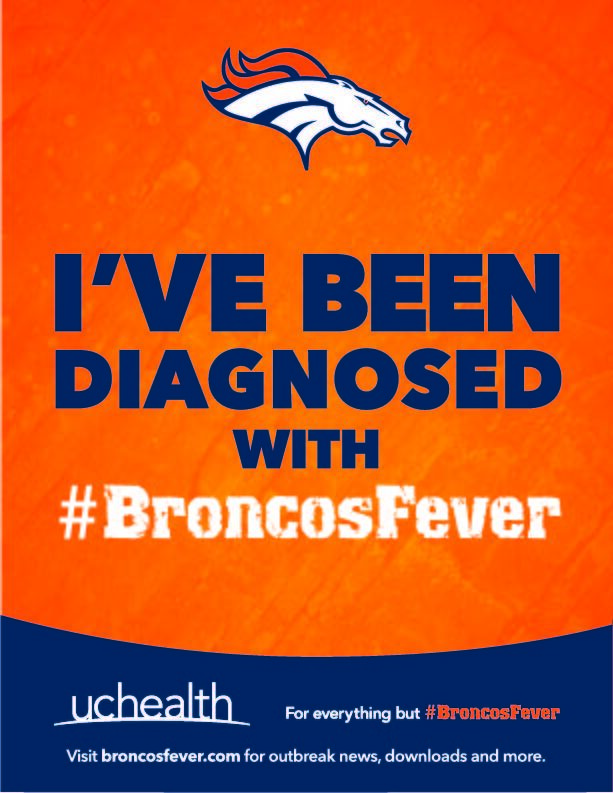 But symptoms can be alleviated by wearing as much Broncos gear as possible and using #broncosfever on social media. What starts as a subtle Mile High Salute can turn into full-blown Broncos Fever, so it’s important to recognize the signs. 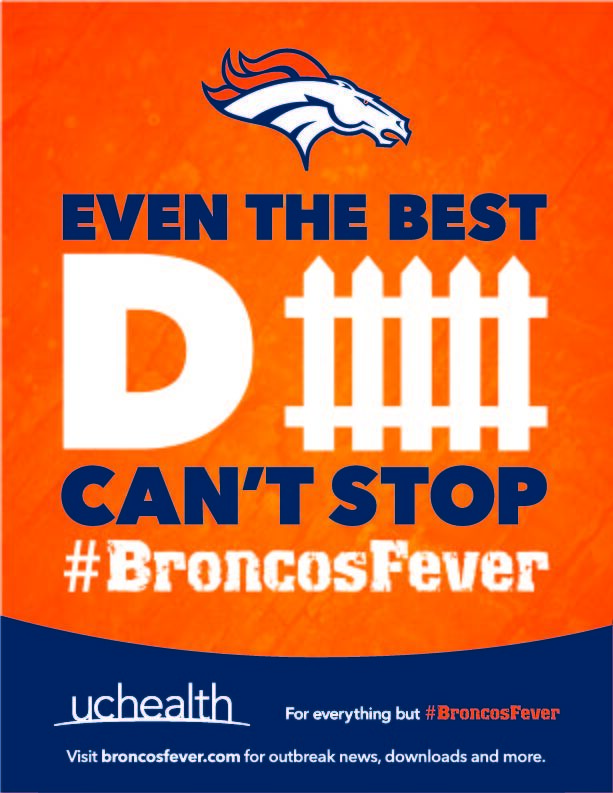 There is no cure for Broncos Fever. We repeat, there is no cure. Not even a cowbell can stop this stuff. But there is hope for those living with the condition. The first step is assessing how badly you have the fever. Download a wallpaper for your phone or desktop to keep it fever free, or print a .pdf and post in your office or town to help spread the word about this incurable fandemic. 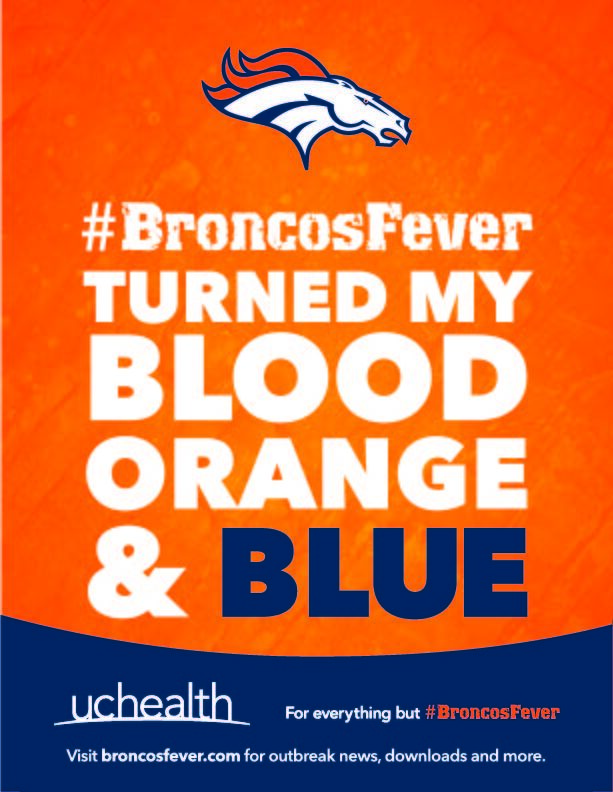 Remember: If you see signs or symptoms, it’s your duty to let others know by using #broncosfever on social media. 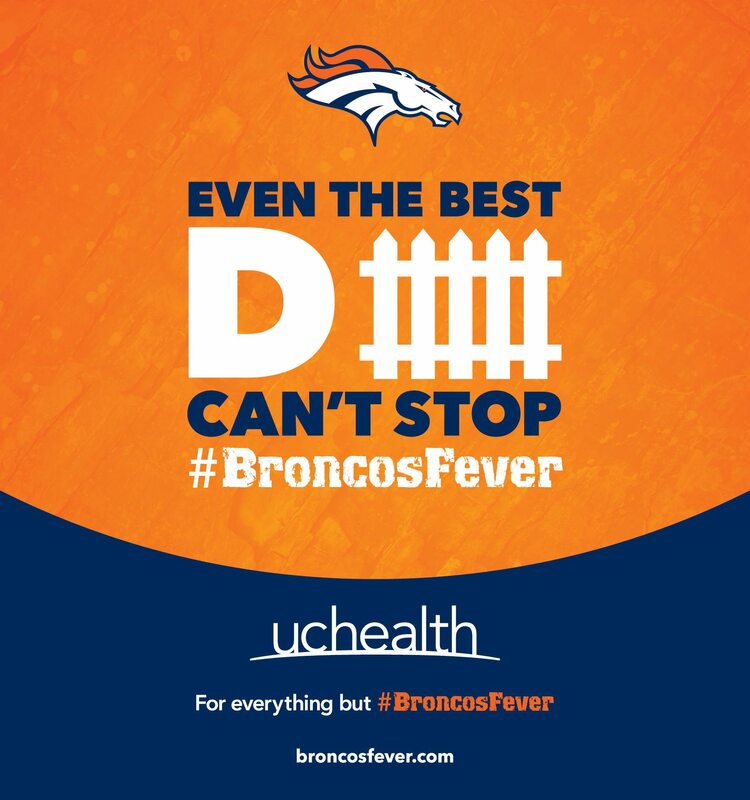 With more Broncos Fever cases than ever, we’re taking treatment to the streets. 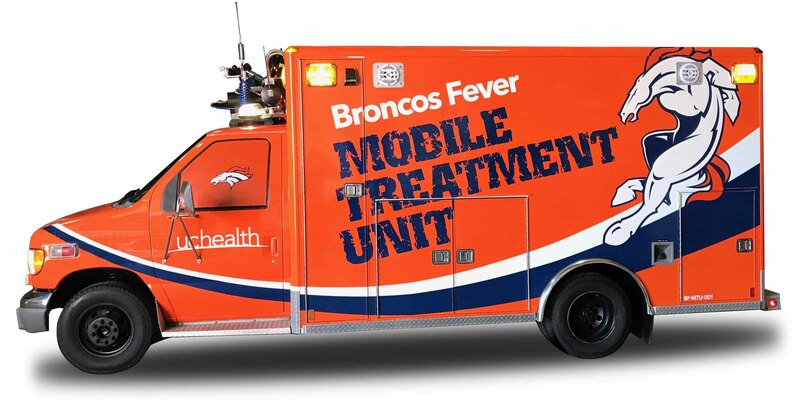 Our fully decked-out Mobile Treatment Unit features state-of-the-art technology for responding to Broncos Fever on the scene. 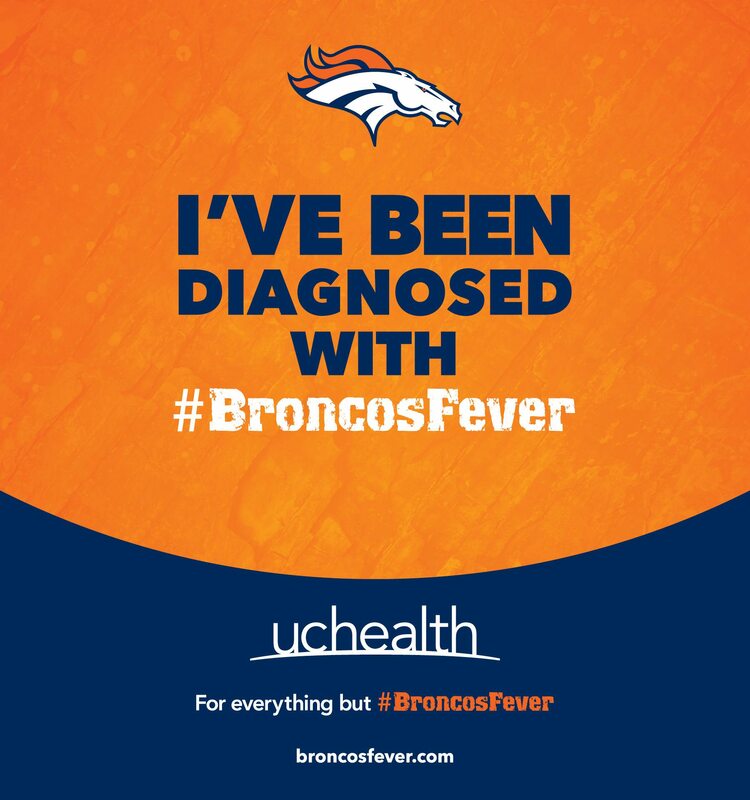 Find an event, get diagnosed and maybe even get a prescription for limited edition Broncos Fever gear to relieve your fever! 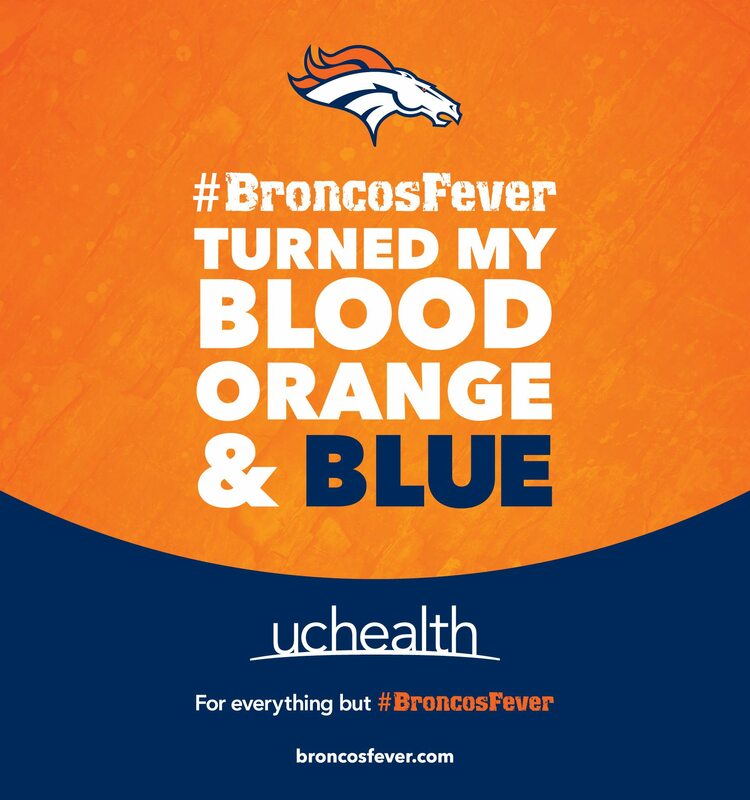 For everything but #BroncosFever, contact UCHealth.